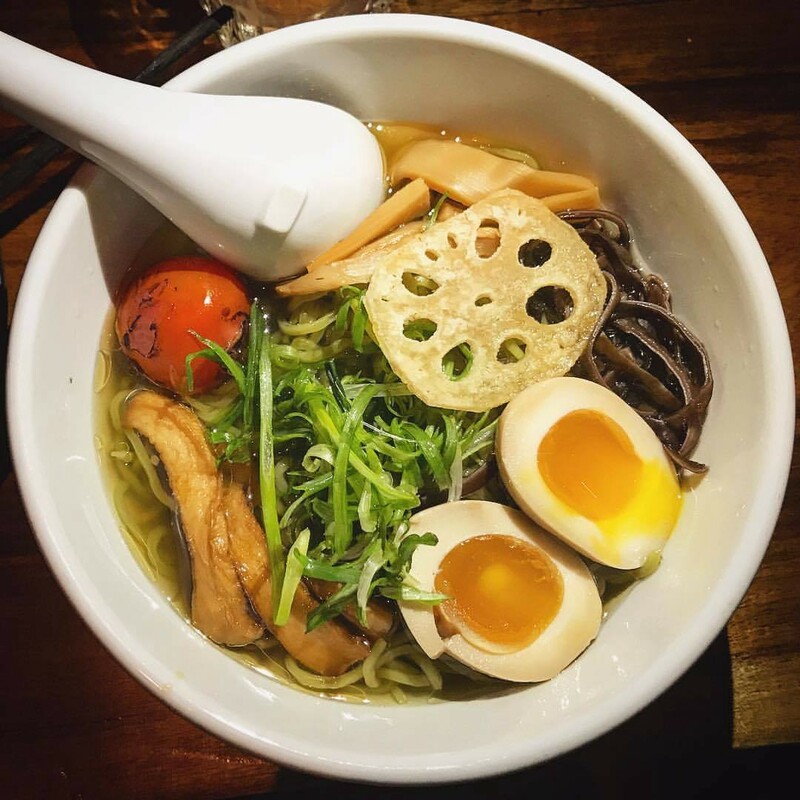 When you hear “vegetarian ramen,” you may immediately walk away…considering ramen is supposed to douse and encapsulate your palate with savory broth from the belly of the pork or the bone of the beef. However, consider that looks aren’t everything. What starts off sounding dull and not worth your time could end up being the most exciting mouthful you’ve ever taken…if you’ll give it a chance. With the first bite, I was blown away. The perfectly tender noodles — not too raw, not too soft — were tangled up in a mixture of textured veggies. A little gushing explosion of flavor filled every corner of my mouth as I continued to feed noodles past my lips. I stopped only to stick the tip of my tongue into the little well of yolk in the center of the soft boiled egg. Mmm vegetarian ramen, I never should’ve judged you.